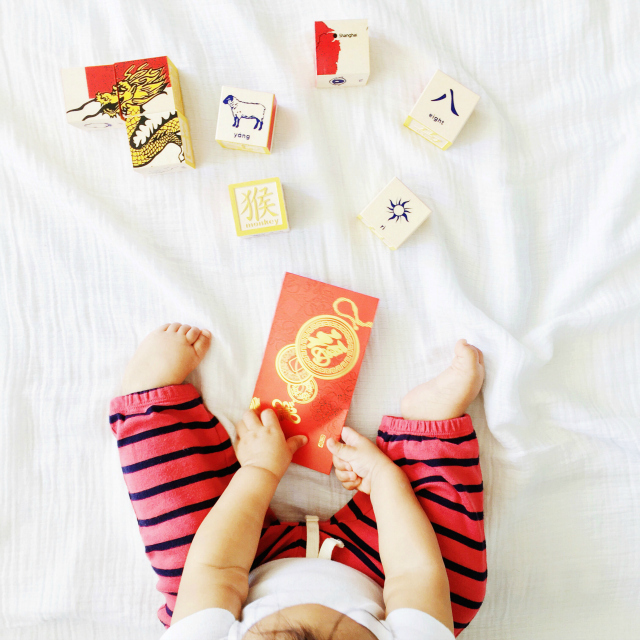 Last year, I celebrated Chinese New Year with baby B growing on the inside. Now, he's a budding baby with growing opinions and a growing curiosity. I gave him his first "lai see" and he was instantly intrigued. He fumbled with it between his hands and put the envelope in his mouth. He looked at it for a long time. And then he threw it. It was so funny. I know I won't have the answers to all his questions about the Chinese culture, but what I don't know we can learn together. And that actually sounds pretty fun. Great post and Nice photos ! Crazy what a year can do! Such a cutie. Thanks for your kind comment on my blog! Happy Lunar New Year! He's adorable. Love those little baby feet and hands. what an awesome image! xO! It's always fun learning and making new holiday traditions through the eyes of children - they really expand our world so much!